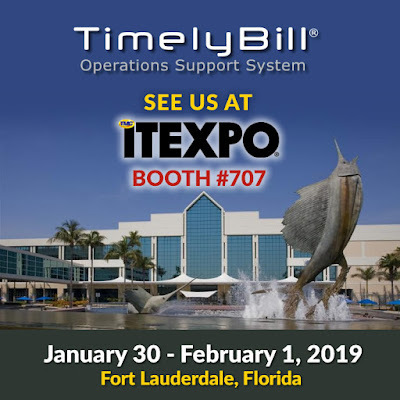 Denver, NC – January 2, 2019 – TimelyBill, Operations Support System, announced today that it will be showcasing its subscription billing and revenue management software at ITEXPO, held January 29 –February 1, 2019 at Greater Ft. Lauderdale/Broward County Convention Center, Ft. Lauderdale, Florida. ITEXPO is the communications and business transformation event where influential buyers gather to make their purchase decisions. Meet TimelyBill at ITEXPO at booth 707 to learn more about TimelyBill’s strategy for billing and operations support.